How good are your yo-y.., I mean, RLSA skills? If you haven’t heard of RLSA (Remarketing List For Search Ads) already or you’re just not sure how to use it, then let me help show you what it RLSA is, what the benefits are from it, and how to set it up. We’re going to be talking about the RLSA best practices that I’ve found to work very well. Why Are RLSA Best Practices Important? If your potential customers are fairly new to your service, product or brand, they probably won’t convert the first time they visit your landing page or site. eCommerce traffic specifically may visit 2 to 4 more sites before they decide to buy from you, up to 96% of traffic won’t buy anything on their first visit. Of course this is why we started to remarket to begin with. 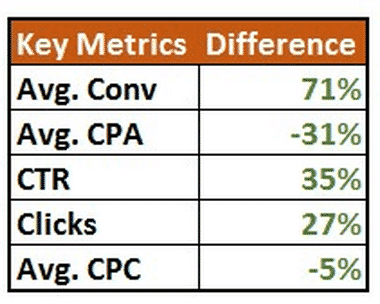 So how does RLSA differ from regular ol’ remarketing? Well part of what makes it different is in the name, Remarketing List For Search Ads. RLSA allows you to remarket on the search network versus the display network. You can also use tailored search ads and bid optimizations to target traffic that has already visited your landing page or site. One of my favorite things about RLSA is it doesn’t only retarget traffic that has visited your site, but you can set it up to only target traffic that has visited your site and are still actively searching for your keywords. This is very useful for those potential customers who prefer to shop around before they make a final decision on the product or service you may offer. Setting up RLSA isn’t too difficult. You can make it as simple or as in depth as you want. 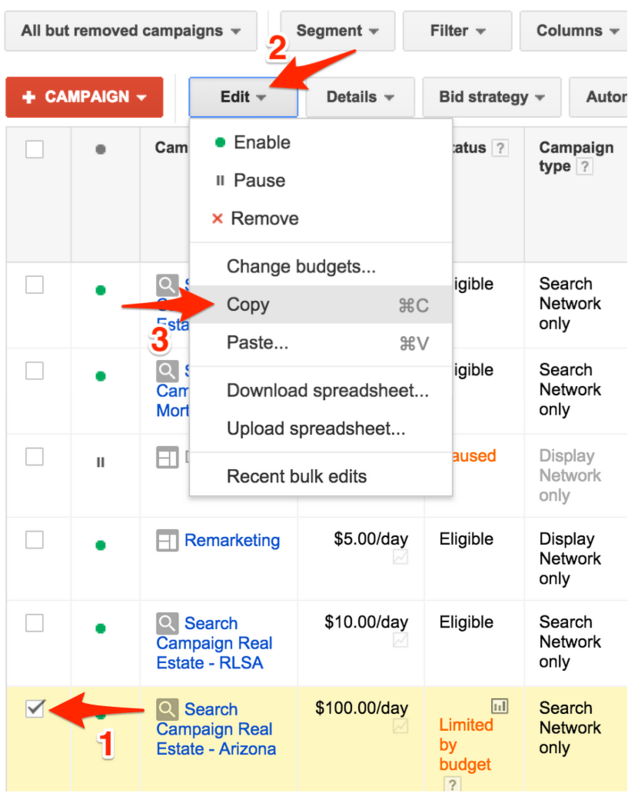 You can use RLSA in your existing campaigns, but if you want to take full advantage of its features, I’d recommend creating a separate campaign just for RSLA. 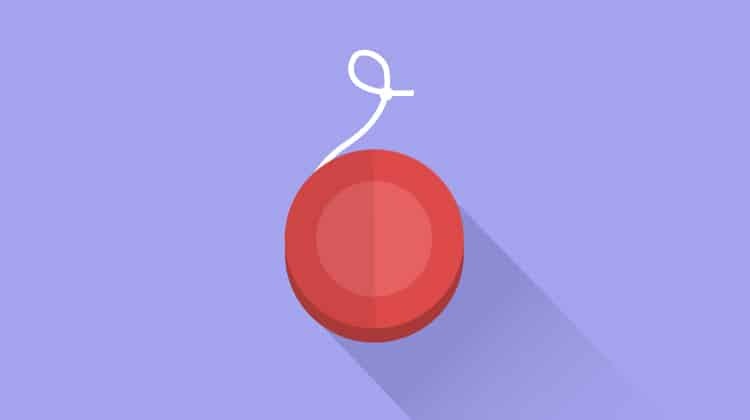 The times you may want to set up RLSA in an existing campaign is if you’d actually like to lower your bids on people still actively searching your keywords. There probably aren’t many times you’d want to do this, but you may find on occasion you do want to. I used it once when I had a landing page that had a coupon code that could be redeemed when the customer called. We found that often times the customers would close the page and forget code and close the page. So of course they went and searched for our ad again. I then used RLSA to reduce bids on anyone who had visited my landing pages with the coupon code on it. This way my ad would still show, but I wasn’t paying top dollar if it was clicked on again. So lets get to the setup of the RLSA best practices. The easiest way to start is by duplicating the existing campaign you’d like to use RLSA with. Start off by checking the box next to an existing campaign you’d like to setup RLSA for. Once you’ve copied and pasted your campaign you will probably want to rename it so you know it’s your RLSA campaign. 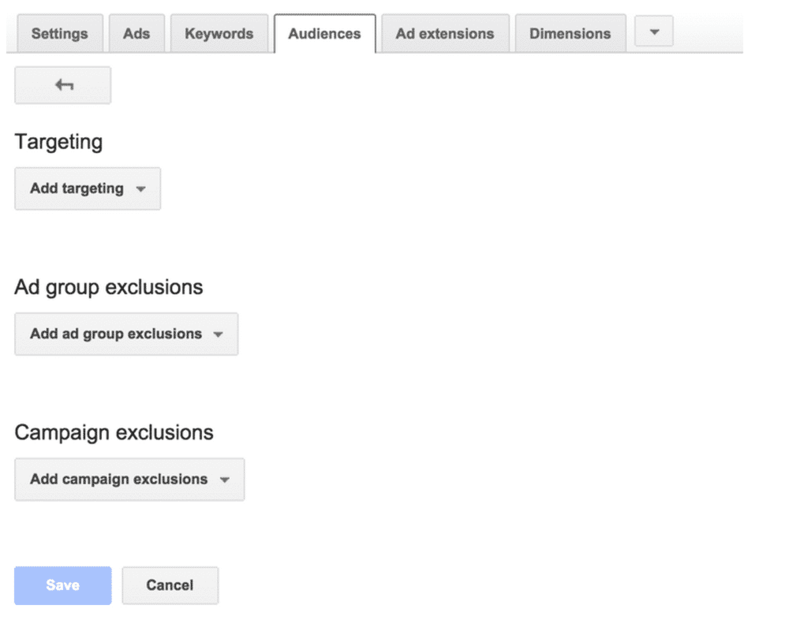 Now that you have your new campaign you can start adding your audiences to your ad groups. The audiences are collections of cookied visitors who have been on your site or landing page before. 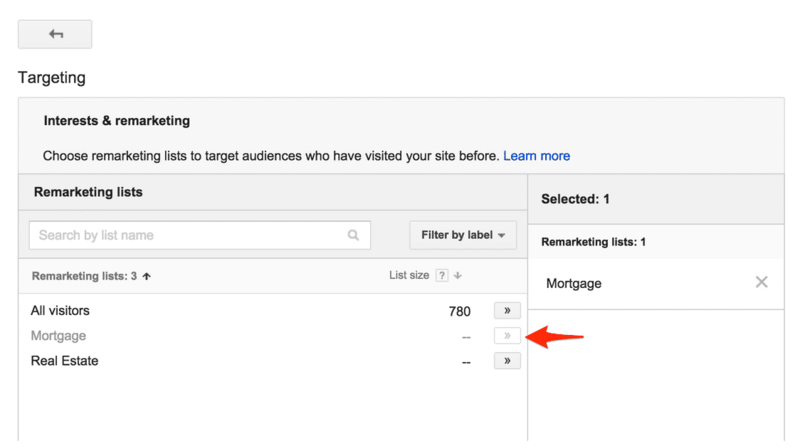 To do this, go into your new campaign, select an ad group with the keywords you’d like to trigger your retargeted ads to and then click on the audience tab. This is where get to target certain visitors! Click on “Add targeting” to select the “audience” you want to use. Just keep in mind that your audience size has to at least be 1000 before you can start using RLSA. Then move the audience list you wish to use over to the right box by click on the arrow next to the audience name. At the bottom of this window you have two options. “Target and bid” and “Bid only”. 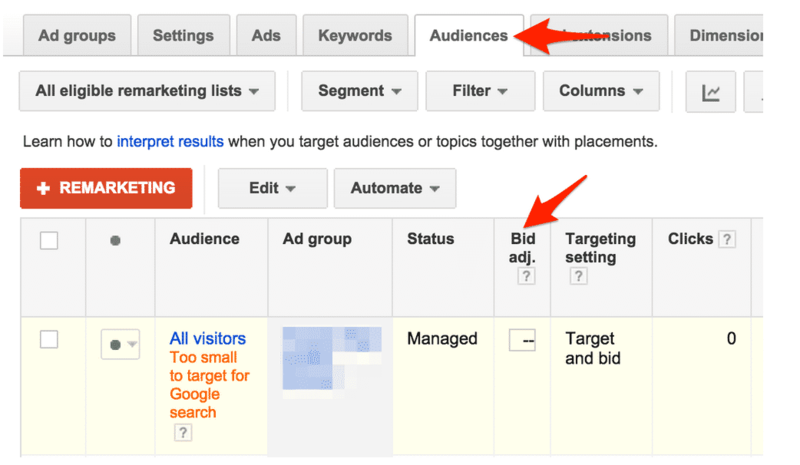 Target and bid means that your ads will display if both your keyword is triggered and the user is on your audience list. Bid only will be triggered by your keywords but the user does not have to be on your audience list. However you will still be able to increase the bids for those that are on your audience list with the bid only option. For example If your only goal is to increase the bids for those people who are on your remarketing/audience list, then you wouldn’t need to create a new campaign specifically for RLSA. You would just add an audience to the ad groups with the keywords that you’d like to increase bids for those who have already visited your site or landing page. To increase the bids for these audiences with the bid only option, you’ll want to click on the audience tab and then there will be a “bid adj” column where you can select a percentage bid increase or decrease. Please note that you have to have an audience added in an ad group in order to see this column. For my example, I will be using the target and bid option since I’ve created a separate campaign that I’d like to create specific ads for. Below the bidding options you will also have the option to add exclusions you may want. Once you are done with these things, you can hit save and you’ve completed your first ad group. You’ll need to repeat these steps for all other ad groups you’d like to include. Depending on the size of your campaign this can be pretty time consuming. Luckily you are able to make these same changes much faster in AdWords Editor. Once you’ve done this you can now increase bids on the keyword bid level or you can use the ad scheduling to increase your bids as well (whatever you prefer). That way when someone on your audiences list is still actively searching your keywords you can get your ad as close to the top of the page as you can and increase your chances of a conversion. Or, if you find that they don’t convert at a high level on the second or third search, you can reduce your bids. The best part of this, is that you can now create custom ads that you want to show to this remarketing list. For example, if you’ve already increased your bids for those on your audiences list you can also create a new offer to help close the deal. You may offer a 15% off coupon code in your RLSA ads that you didn’t want to offer in your regular search campaign, the first time the visitor saw your ad. This will give that extra incentive to make the purchase or sign up from your visitor. There are multiple other ways you can use RLSA, these are just a few of the RLSA best practices and you may choose to use it and how you set it up. Check out these case studies from other people on their success with using RLSA so you can see how it helped improve the performance of other accounts. I hope this was a good introduction to the RLSAs and some of the RLSA best practices. Please feel free to ask additional questions in the comments below or let me know of any success you have seen from using RLSA! Would you also recommend excluding the remarketing audiences from Campaign 2 above? Otherwise, surely the two campaigns would compete. I ask because this is how I set up a campaign and I have noticed drops from Campaign 2 (targeting everyone not on the audience list), that roughly correspond with when this was set up, whilst exposure for Campaign 1 (RLSA) is minimal.